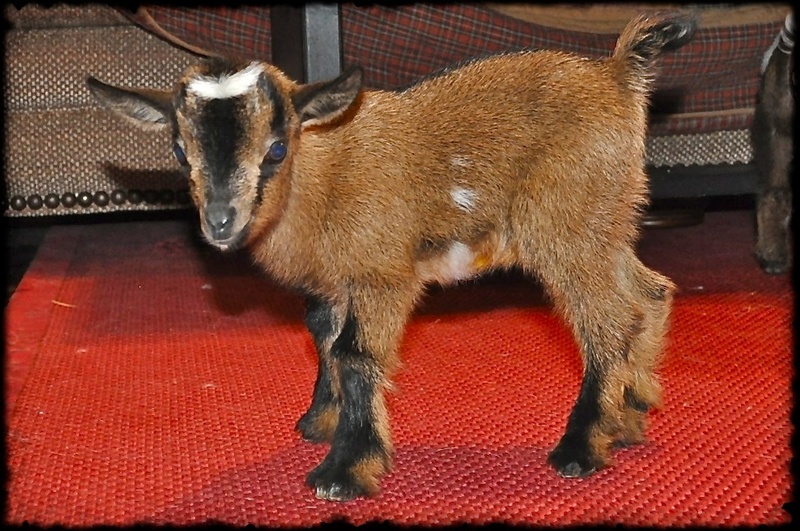 Belle Starr Farm Lincoln DOB 1/30/12, tri-colored, *Reserved Thanks Jon & Katie in MO! 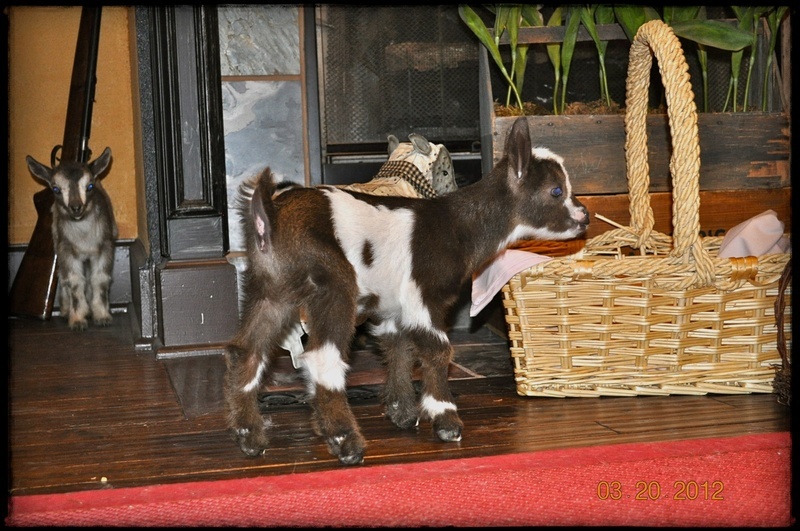 Belle Starr Farm Davis DOB 1/30/12, BLUE EYES, $75 *SOLD AS A WETHER - Thanks Vicki & Chuck! Pretty boy! 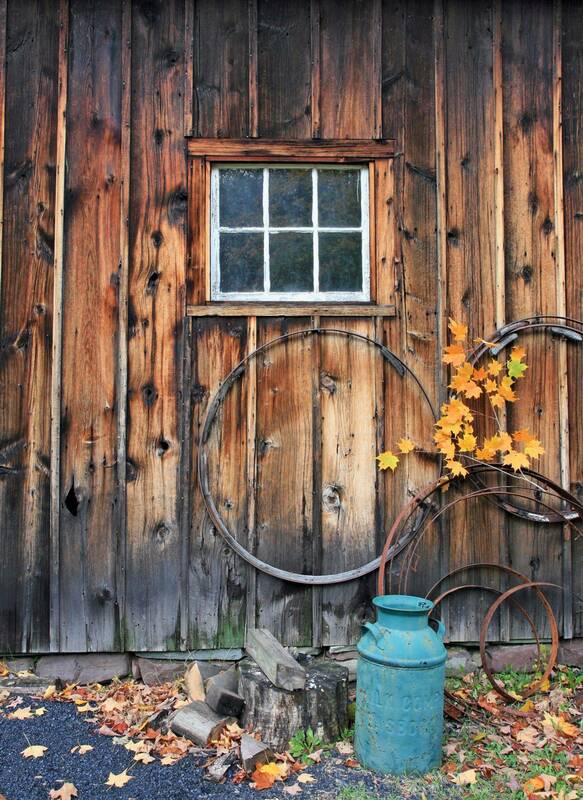 and polled. Love his nose markings and wee pink nose. 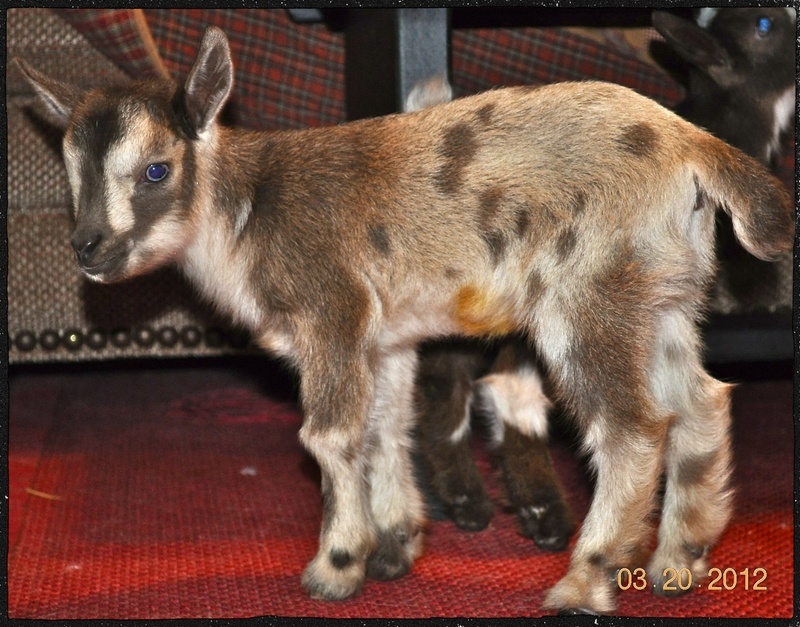 Belle Starr Farm Jeb Stuart DOB: 2/4/12, BLUE EYES, Bottle Baby, Available as a wether $75 or FREE with his sister Pistol Pearl ~SOLD~ Thanks Vicki! 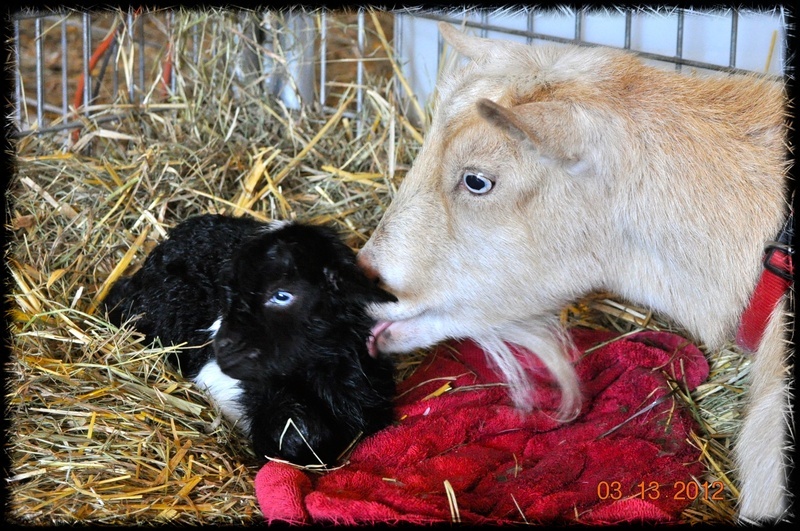 Belle Starr Farm Pistol Pearl: DOB: 2/4/12, BOTTLE BABY! 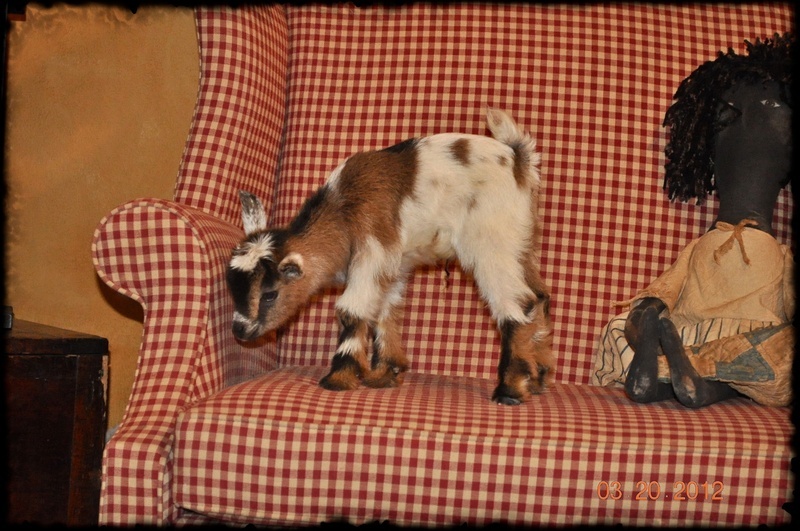 Available $325 including her brother as a companion ~SOLD~ Thanks Vicki! 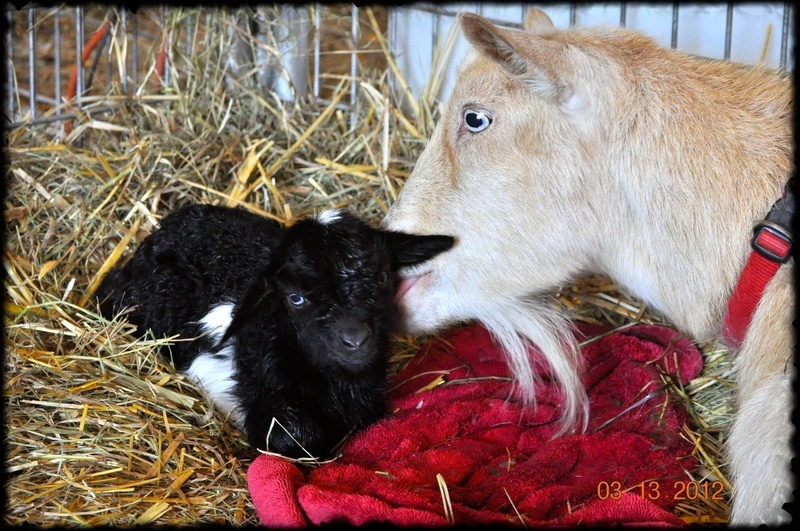 NOTE: Pearl was 1 of 4 babies and pulled right away to bottle feed with her brother Jeb. She is VERY sweet and marked BEAUTIFULLY! 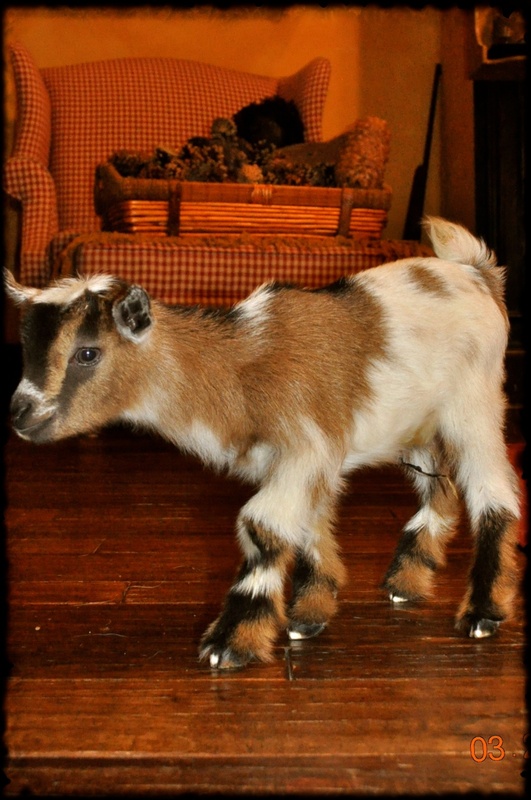 Belle Starr Farm Bushwhacker DOB 2/4/12 $75 *SOLD Wether Thanks Sue! 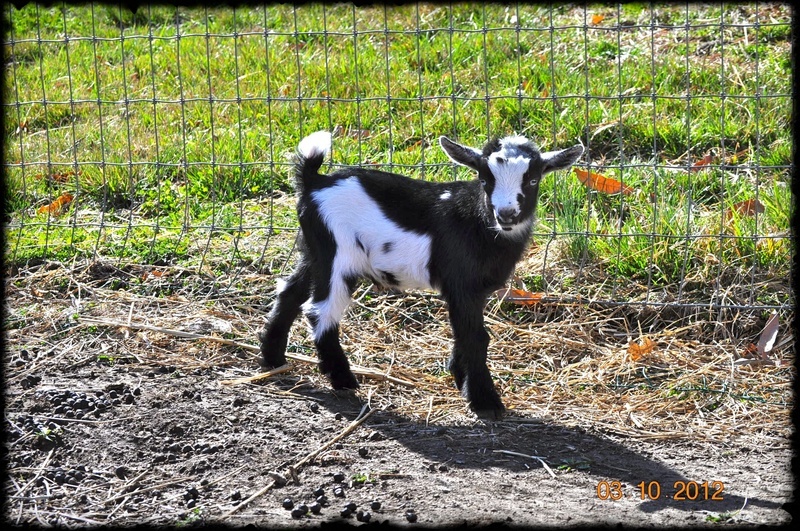 Belle Starr Farm Jayhawker DOB 2/4/12 $75 *SOLD as a wether Thanks Sue! 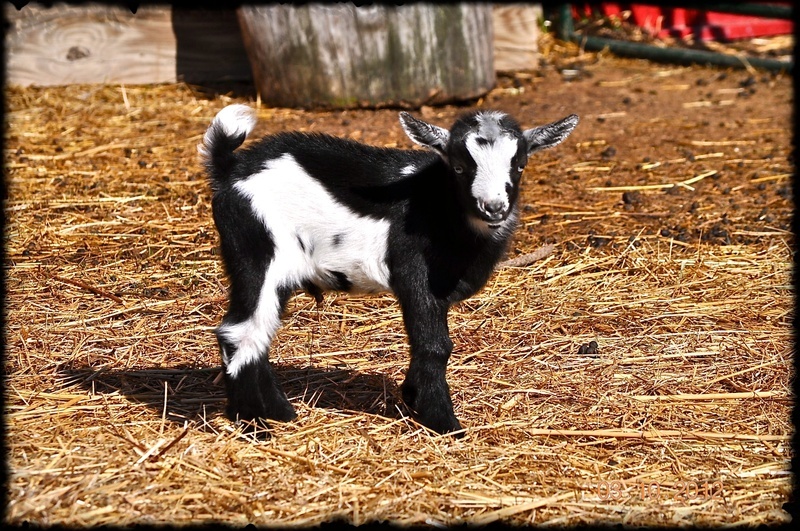 Belle Starr Farm Robert E Lee DOB: 2/27/12 $225.00 *RESERVED as a buckling Thanks Jon! NOTE: Grant is a funny little thing. Both Generals are "reserved" ....but recently Grant has begun bursting out of his shell...........he will jump on your back and do a dance if you lay down in the straw........and nibble your clothes and hair if you're sitting near him. I believe he's more of a lover than a fighter! LOL! 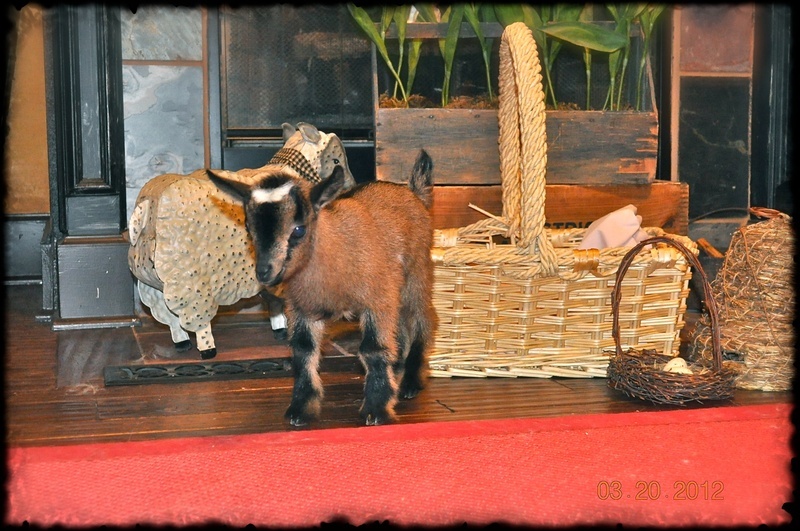 Belle Starr Farm Wild Rose O'Neal DOB: 3/9/12 $325 *RESERVED DOELING Thanks Heather! 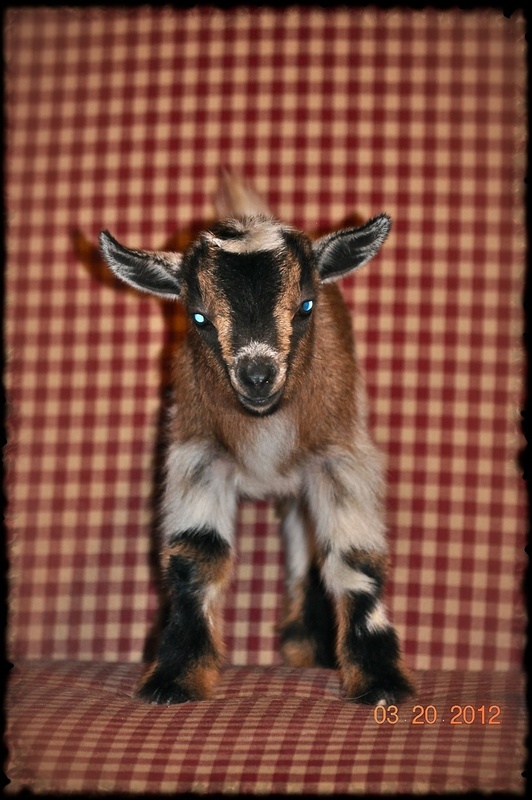 Belle Starr Farm Cannon Ball DOB: 3/13/12 SOLD Thanks Mary in PA!! 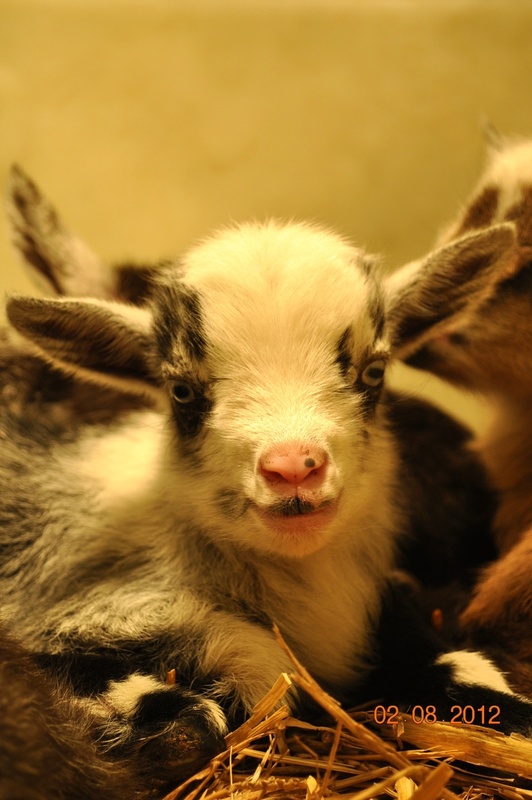 NOTE: this little buckling was a 5.2 pound only-baby! He is a big ole' boy! Docile and sweet, he'll make a wonderful pet! Cannon and his Mommy, Kitty, on his birthday! NOTE: This baby won't leave me alone! :-) Sweet and beautiful............a deadly combination! TROUBLE with a capital "T" ! 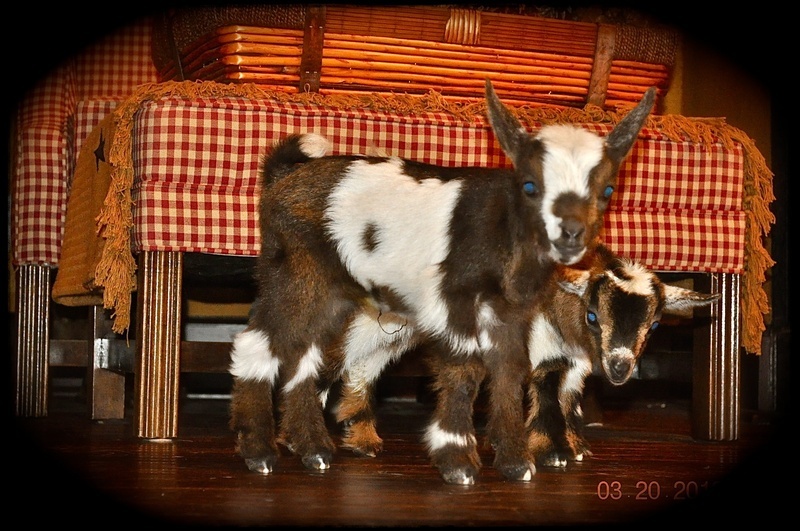 Belle Starr Farm Clara Barton, DOB: 3/18/12 $325 Reserved Thanks Miss Penny's Backyard Barnyard! in MO! 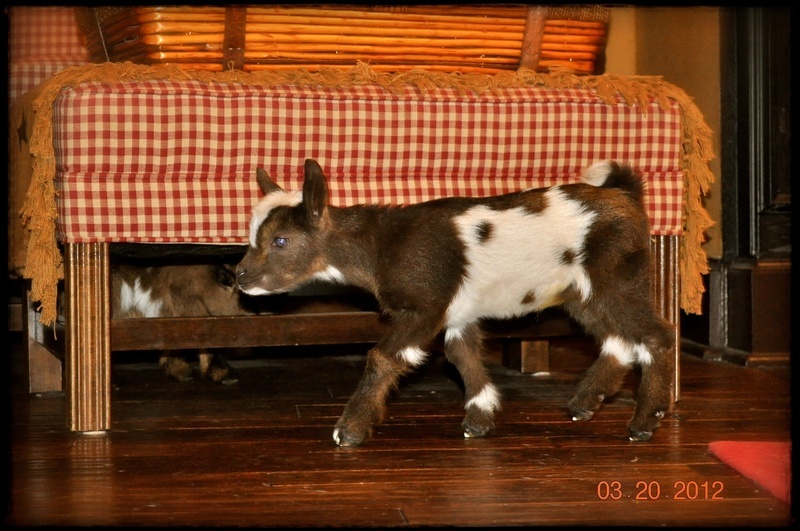 NOTE: Sweet Clara (Claire) is a Chamoisee with a few white accents (spots). 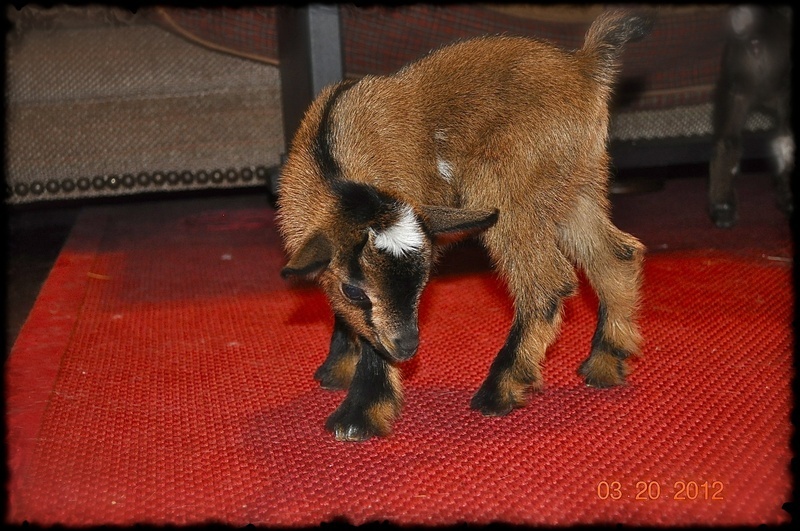 Her fur is silky and velvet-smooth, Excellent lineage, and her dam's first freshening udder is VERY nice! 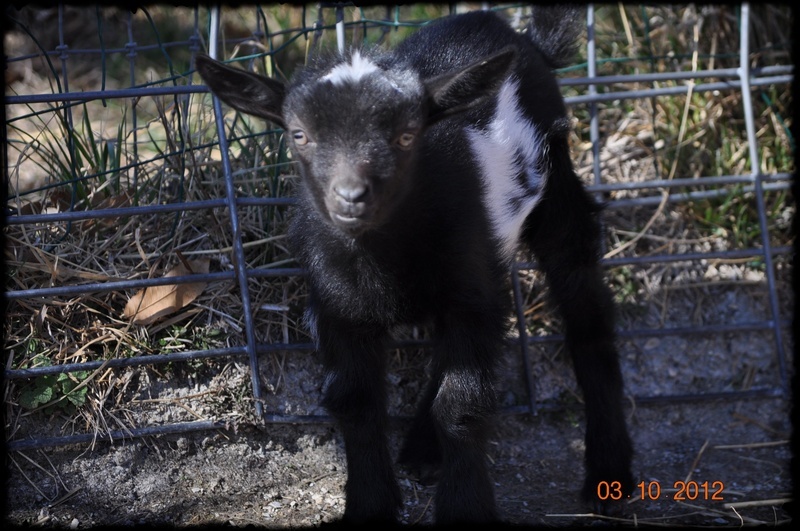 Belle Starr Farm Ginnie Moon, DOB: 3/23/12 $325 *SOLD THANKS MARILYN in MO! 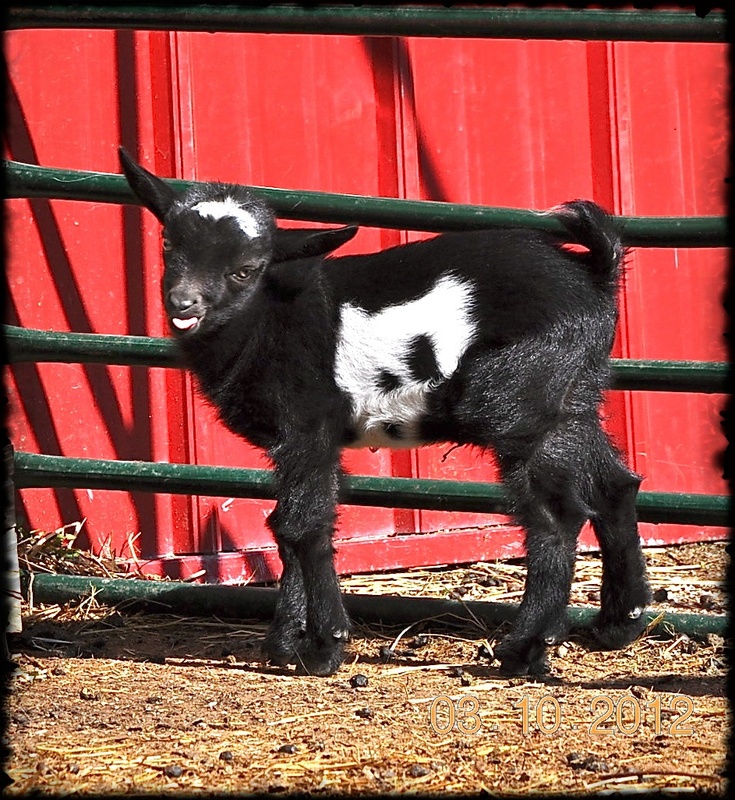 Belle Starr Farm Jemima, DOB: 3/23/12 $325 *RETAINED DOELING! 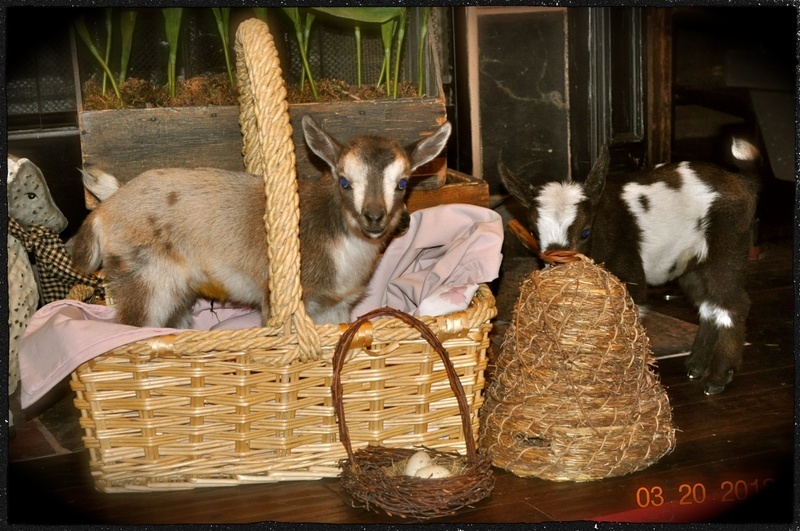 Belle Starr Farm Lottie Moon, DOB: 3/23/12 $325 *SOLD Thank Mary in PA!